Filed under Appli-K-Kutz Fabric Cutting Dies, Free Motion Quilting, Site Updates, Sizzix, Trapunto. i think you do have a thing for feathers!!! He, he, he. 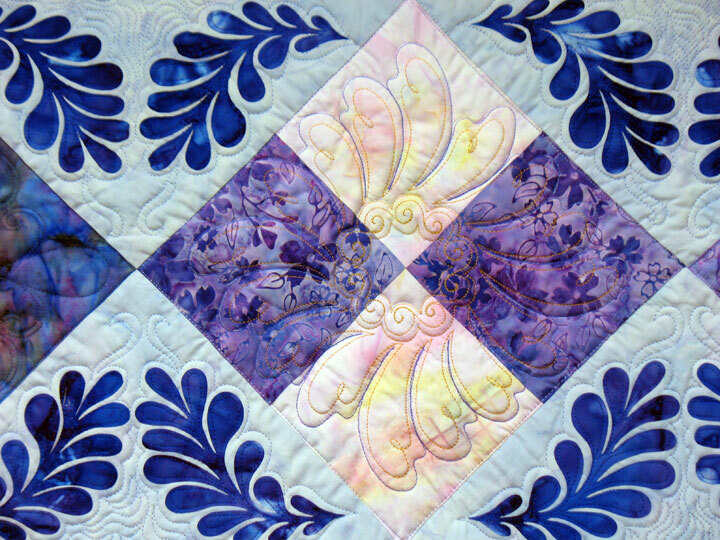 Beautiful design and quilting.Have fun at salt Lake. I’m with you on a love of feathers, and this quilt is another beauty! A splendid job on the quilting, too. 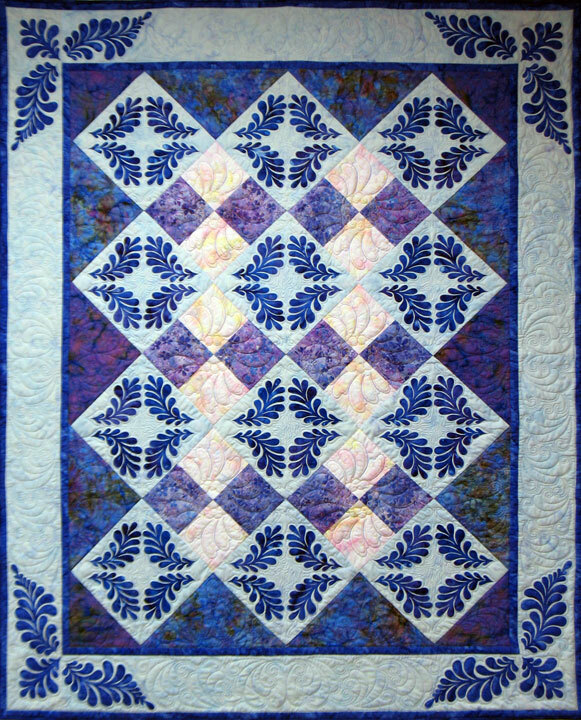 I do like the border quilting pattern that was used. Just lovely. You’re very lucky to find someone to quilt for you, who can do justice to your beautiful quilts and have the same “look” as you do. 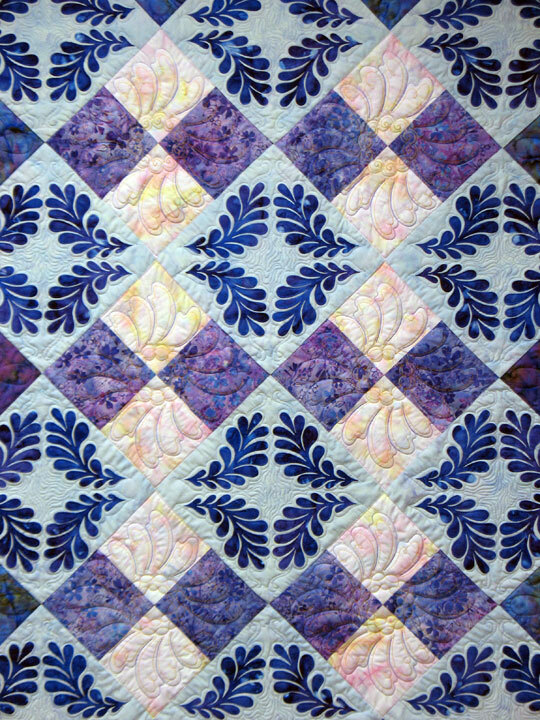 The quilting is fabulous….I can see that the border is a continuous design, and it looks so complicated. Chrystal did a great job! 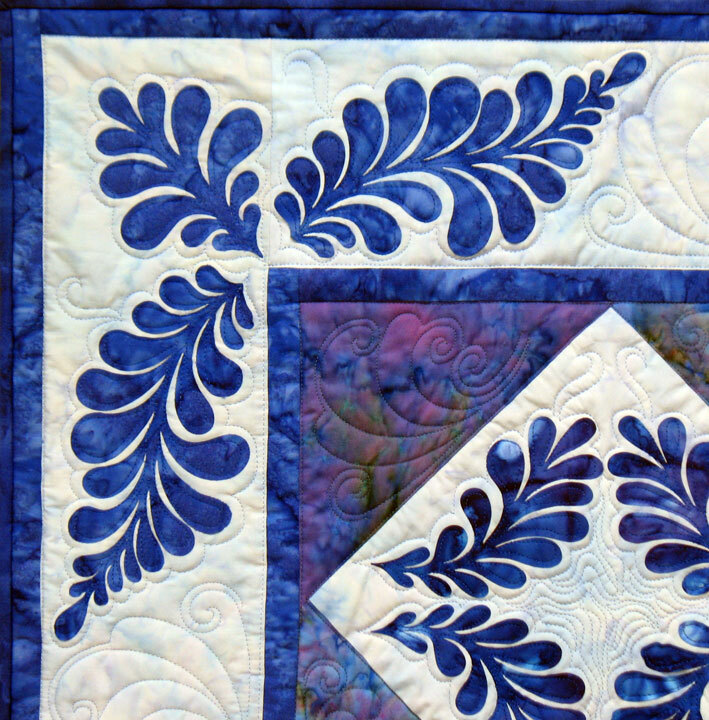 I just love the combination of blue and white, along with the fabrics and quilting, it is gorgeous. 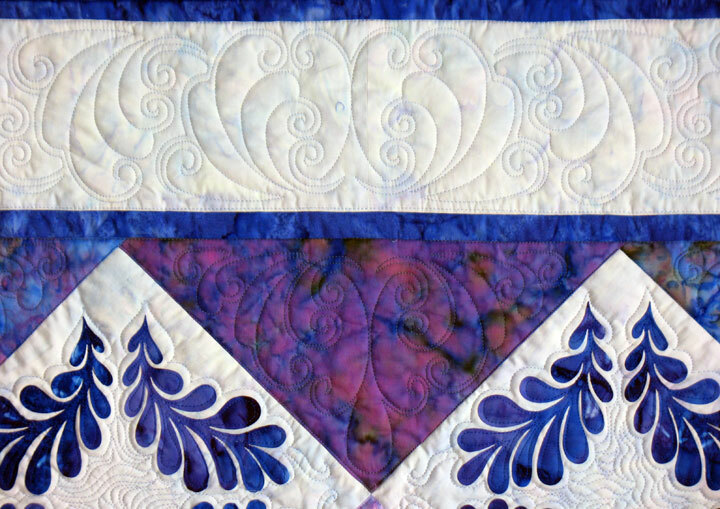 Brilliant quilt design, colors, balance and beautifully quilted too. I may have missed something. Are you going to have a booth at Quilt Market? I’m working on a pre-QM post and would like to include you if you are. This is so beyond anything that is out there. I can’t wait for the dies. Go girl! Patsy, I too love feathers. I’m trying to improve on mine after watching your quilting video. Now I’m soo wanting those applique feathers! Your quilters done a wonderful job, so pretty and elegant. 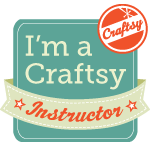 Never thought I would buy a Sizzix—never say never! Bought one and can hardly wait for your dies to be available. I have so many new ideas now for quilts. Thanks for your inspirations. Bravo! This quilt is stunning! When can we expect to find a pattern for it on your website?